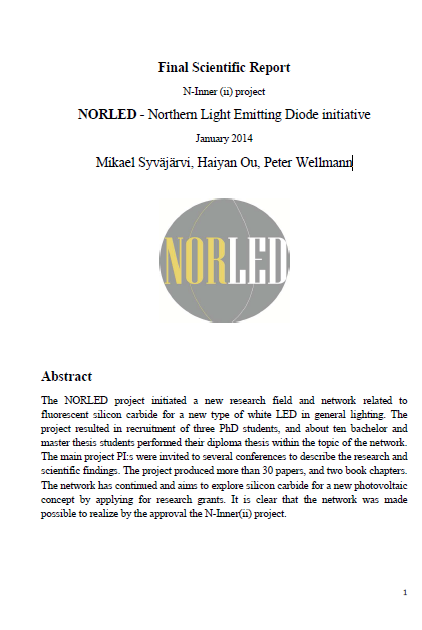 The NORLED project initiated a new research field and network related to fluorescent silicon carbide for a new type of white LED in general lighting. The project resulted in recruitment of three PhD students, and about ten bachelor and master thesis students performed their diploma thesis within the topic of the network. The project has produced more than 30 papers, and two book chapters. The network has continued and aims to explore silicon carbide for a new photovoltaic concept by applying for research grants.